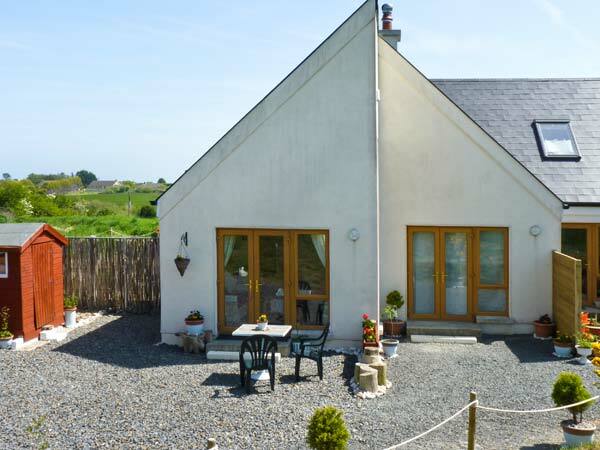 Beachside Hideaway is a single storey annexe, attached to the owners' home in the hamlet of Donaghmore, five miles from the seaside resort of Courtown, County Wexford. 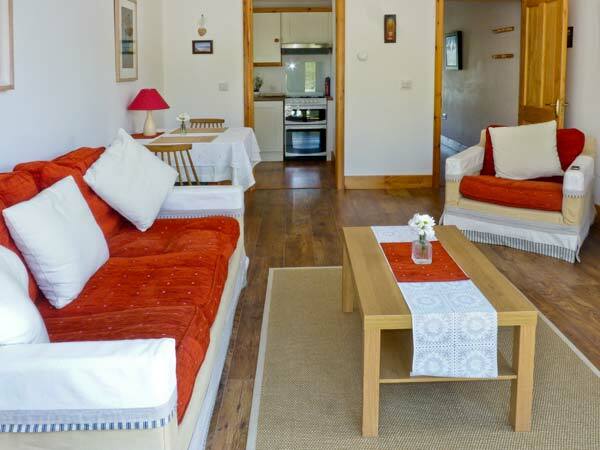 This cottage sleeps two people and has one double bedroom, a bathroom and an open plan living area with a fitted kitchen, dining area and sitting area. 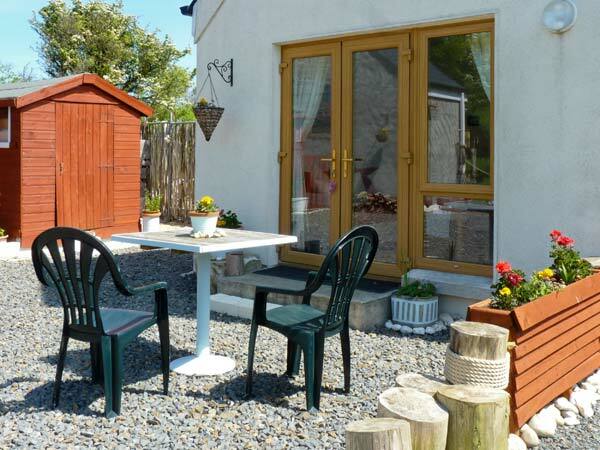 Outside there is a shared gravelled garden with furniture. 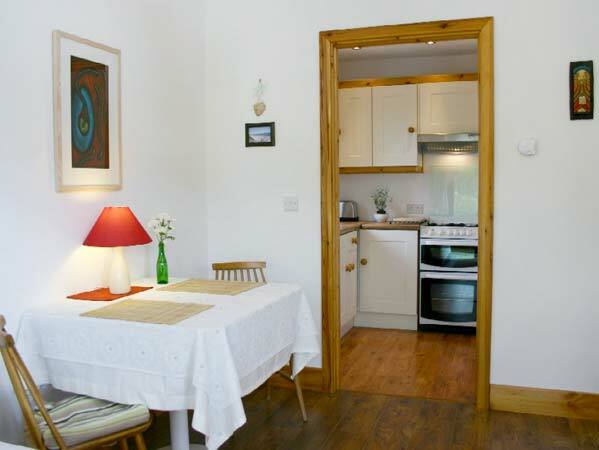 Beachside Hideaway is an ideal holiday home for a couple on a romantic retreat. The Park Bistro is a modern and stylish bistro with a warm and welcoming atmosphere and friendly staff providing the ideal dining environment. They are open throughout the day serving breakfast, lunch and dinner. By using fresh produce and local suppliers you are assured the finest ingredients that are transformed into a delightful dishes that are both tasty and divine. The presentation too is superb. There are many influences in the cooking here but it is mainly modern Irish with a twist. When you dine at the Park Bistro you are assured great food, in ideal surroundings and value for money too. A visit to Forde's restaurant will afford you a delightful experience in a setting with a relaxed ambience whilst, being served dishes from a thoughtfully prepared menu, focusing on using local and seasonal produce to ensure freshness and quality, further complimented by the accompanying wine list. So whatever the occassion do not delay in visiting this lovely establishment loctated in close proximity to Wexford town. D'Arcy McGees is a warm and friendly pub with a cosy decor and cushy seating, it is a great family pub. It is popular with both locals and visitors who come for the friendly banter and tasty food. The menu consists of the usual favourites and there is a daily special board as well. All the food is really good, well cooked and presented and they are very prompt in getting the food from the kitchen to your table. In addition it offers good value for money. D'Arcy McGees is a warm and colourful pub that will make you feel welcome while you enjoy a drink or a meal. Mount Everest of Kathmandu is proud to be the country's first Tibetan and Nepalese Restaurant, and to celebrate the authentic cuisine of this region. It has a contemporary interior that is warm and inviting, the staff are friendly and helpful and the restaurant also enjoys views of the Wicklow Mountains. When you dine here you are assured natural, authentic and fresh produce, there are no artificial additives and all dishes are cooked to order and to your preference of spiciness. When you dine at Mount Everest of Kathmandu you get to experience the hospitality of the Nepalese people and to taste their delicious and flavoursome cuisine. If you are unsure of what to eat the staff will be pleased to assist. A thoroughly enjoyable dining experience. The Coffee Shop is more than it says it is a delightful cafe that has been around for a long time serving its customers in a warm and inviting atmosphere. They are passionate about what they do and strive to ensure the customer leaves satisfied. An emphasis is placed on providing the finest quality and healthy food, all produce is got from local and artisan suppliers, and everything is made from basics in-house daily. So whether it is breakfast, lunch or one of their delicious desserts or cakes you are in for a treat. The Coffee Shop is a truly delightful eatery serving impeccable food in a pleasant environment. The award winning Halpin's Bridge Cafe is a warm and welcoming cafe with a colourful decor and well placed accessories that complement the decor. The staff too are friendly and helpful. It soon becomes evident why this cafe is so popular with locals the menu is varied with everything from toast through to hot daily specials. The dishes are made fresh daily using quality ingredients and this shines through in the food, it is tasty and flavourful. To top off a wonderful meal are a range of pastries and desserts that again do not fail to impress. Halpins Bridge Cafe will not disappoint, it offers great food in a lovely atmosphere. The Mystic Celt has taken it upon itself to resurrect the old traditions and our passion for Irish cuisine but with a modern twist. It has a respected reputation for providing good wholesome dishes made using the finest of ingredients. Their produce is sourced from local suppliers and artisan producers with everything made from fresh in their kitchens. The menu is creative and interesting with lots to choose from. The food is divine, everything is cooked to perfection and perfectly seasoned as well as first class presentation. When you dine at The Mystic Celt you are assured great food in a lovely atmosphere and service by friendly and helpful staff. Situated in historic settings that still retain many original features, with a sense of allurement and charisma, The Yew Tree is the provider of great homemade food, live entertainment all in amenable and relaxing surroundings. Since its conception The Yew Tree has developed into a dedicated and committed establishment providing food from morning to evening, utilising the best in local and seasonal produce in their creations that delight its patrons. Rubens is loctated in a unique and enthralling setting, loctated in the old kitchens of a 200 year old dower house, it enjoys broad archways and cavernous ceilings that add to the whole dining experience. The setting is further enhanced by the quality and innovative menu, with the prominence being put on sourcing local produce and using seasonal and artisan ingredients. The care and attention put into the food is evident from the first taste. A truly delightful and engaging dining experience. Blackstairs Eco Trails offer guided walks along the River Barrow and through the foothills and valleys. The tour begins with tea and scones at the Old Rectory before setting out into the countryside at a gentle pace. Expect to learn about local archaeology and toppography as well as the vast range of plants, birds and animals that inhabit this fantastic landscape. Track and Trail Adventure provides visitors and residents with an exciting way to get out and see Ireland. Located in County Wicklow, the Track and Trail team includes over a decade of experience which shows in the programmes and activities offered. Hire a bike and find a wide range of riding options, from guided journeys to skill courses. If you love fun, fresh air and a heavy dose of adrenaline, then stop by Forest Park and experience the Courtown Adventure and Leisure Centre. This fast paced facility supplies a wide range of adventurous activities. Test your strength by climbing up the harrowing high rope course or try to survive in a round of lazer tag! Woodenbridge Golf Club has established itself as a seasoned organisation that, based on known records, dates back as far as 1884. The elegant club house showcases photographs from the late 19th century. A high quality restaurant and bar is open on the upper floor. The grounds include a convenient golf shop. The Bunclody Golf Club offers a beautiful green space for a day of sport. Enjoy the view of towering trees and a lush green course while honing your skills with a club. The modern yet rustic club house showcases a unique round shape that enhances the surrounding landscape. The facility includes a convenient pro shop. The European Golf Club has earned a place among the world's top 100 golf courses. 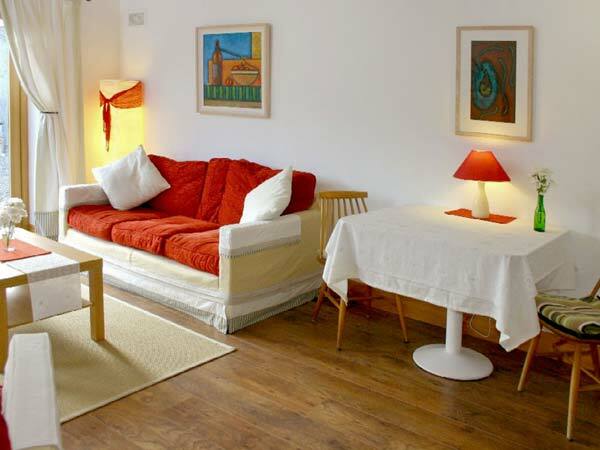 This tranquil setting provides excellent surroundings for a relaxing game. Found approximately 35 miles south of Dublin's city centre, this attraction offers many conveniences as well as an experience that no golfer in Ireland should miss. Hooked Kitesurfing teach kitesurfing on Duncannon beach in County Wexford. Large spaces of shallow water mean you can learn without ever being out of your depth and with the latest equipment and experts to guide you you'll soon be speeding through the water - and even through the air if you're daring enough! Set along the stunning coastline of Wicklow you will find this challenging but rewarding 18-hole parkland golf course. The course will allow you to delight in the stunning views of the Wicklow Mountains, the impressive coastline and has far reaching views out to the Irish Sea. With many hurdles such as water hazards and demanding drives it will challenge the abilities of the best golfers. The club provides competitive golf deals to both local and overseas visitors and Golf societies. Get closer to nature at the Wexford Wildfowl Reserve. This beautiful area is home to some of the most graceful avian inhabitants in the world. Bring a camera to photograph Greenland White Fronted Geese, elegant swans and many charming duck species, including the Mallard, Teal, Widgeon, Pochard and Tufted. Approximately 31 species of duck and 42 species of waders have been recorded at the location. 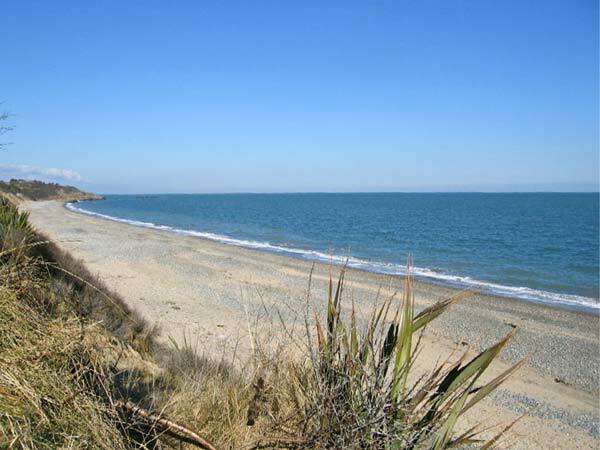 Brittas Bay is one of the most popular beach destinations for people living or visiting Dublin. 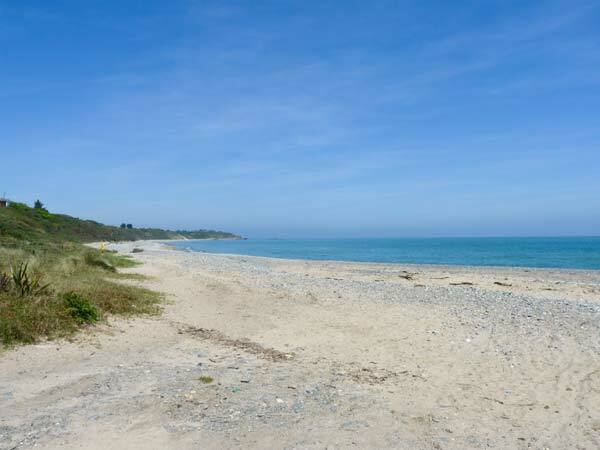 The beach has been recognised with a European Union Blue Flag which recognises it as a beach of the highest quality. 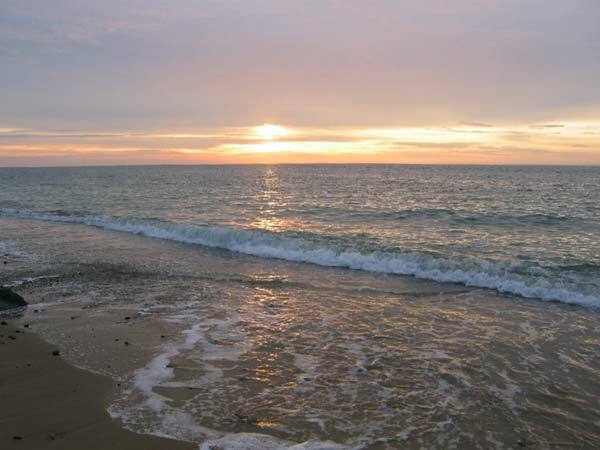 The beach is 2 miles long and ideal for walking and swimming. The sand dunes themselves contain a wild range of flora and fauna. See majestic birds of prey in their natural environment at the Woodlands Falconry. Visitors can glimpse a diverse selection of avian inhabitants, from eagles and hawks to owls, falcons and much more. Young visitors can visit baby birds during the summer season. Watch, learn and explore the amazing world found at the Bird of Prey Centre! Glebe Gardens and Cafe welcomes visitors with the promise of lush landscape and fresh produce. The garden features multiple areas, including the wild flower meadow, waved hedge, tunnels and the henhouse. The grounds also includes the Glebe Cafe which features award winning dishes and pleasant atmosphere. Venue rental is offered for events. Monksgrange Garden in County Wexford is a tranquil place full of thriving plant life. 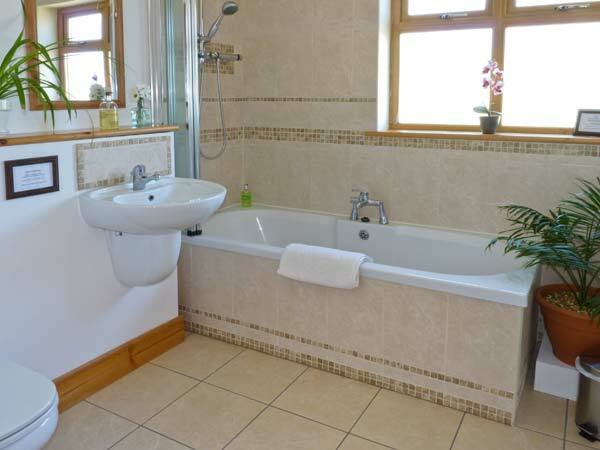 Each area is carefully manicured and includes stunning decorative features. Walk along stone pathways to see lovely blossoms among unique statuary and amazing organic arrangements. Access varies by season so visitors should contact the garden prior to stopping by. 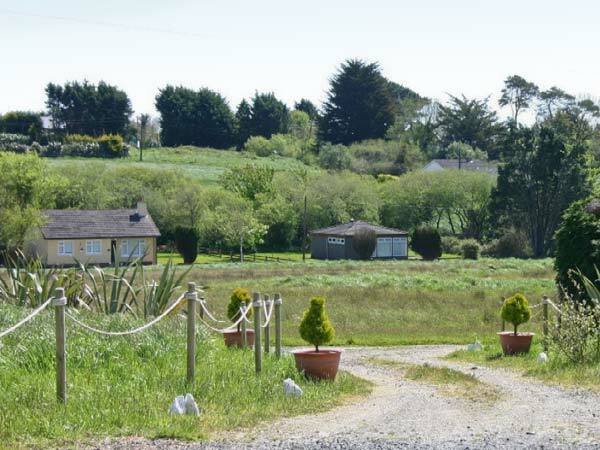 Knockanree Garden is a gorgeous place of grow and tranquillity. This privately owned attraction showcases stunning hedges and vibrant blossoms. Multiple areas are contained within the garden, each offering its own unique charms. View Indian and European sculpture, the Chinese bridge, French parterre and the Japanese Zen circle. Rathwood earned a "Retail Excellence Ireland" award in 2013 for its high quality products and excellent service offerings. This charming location showcases a wide range of merchandise, from gifts to fashion, furniture and a garden centre. Fully furnished showrooms are also available so shoppers can see beautiful ways to utilise handcrafted accessories, leather pieces and much more! Wicklow is home to the lavish Mount Usher Gardens. This breathtaking landscape features gorgeous shrubs, trees and herbaceous plants gathered from all over the world. Each seedling and sapling is positioned for optimum health and harmony within the garden. An all-season shopping courtyard is available on the grounds as well as the Avoca Garden Cafe. Adventure Alley is an indoor entertainment facility that provides many opportunities for fun! Visitors of all ages can hop around in the trampoline centre, go ice skating or test their survival skills with Airsoft competitions! Adventure Alley partners with the Auld Tannery Cafe to provide a delicious dining option for visitors who work up an appetite. 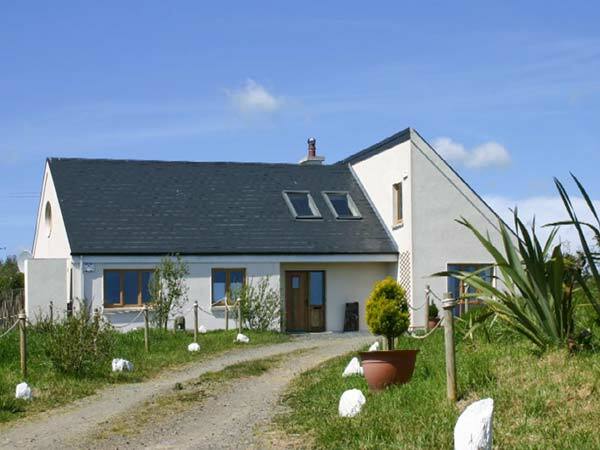 The Blackwater Open Farm is a great place for families to explore rural life. Meet the furry creatures that call the farm home. The fun zones are sure to entertain young ones with soft play spaces and puffy farm animal figures. The Garden Cafe is also available on-site to serve breakfast and lunch. Bird lovers are treated to a rare opportunity at Falconry Ireland. The facility boasts its hands-on approach to avian education. Visitors are invited to bring their camera to capture amazing images of some of the world's most graceful birds of pray. Don't forget to check out the Helicopter Hawk Walk which includes a ride in an actual helicopter! The Ballycoursey Day Spa is ready to help you escape and unwind. This facility will pamper with many luxurious treatments. Stop in for a full body salt scrub, massage or dermalogica facial. The spa was constructed on a site that previously belonged to a 13th century monastery. 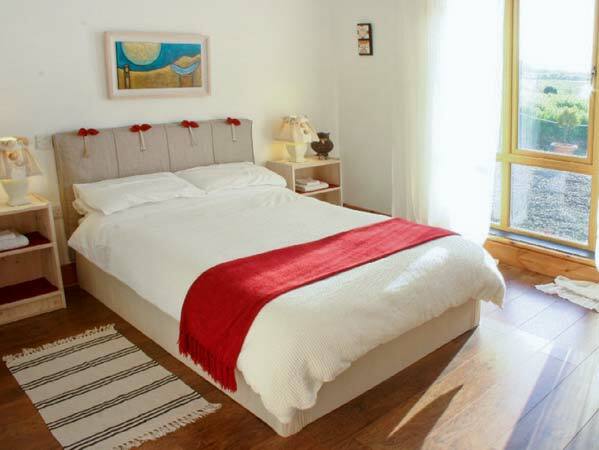 Many enticing package offers are available. Avoca Tours will guide travellers to Ireland's most historic and secret places. Delve deeper into the heritage of this great country. Walks and activities are available, including a four hour excursion into the forest near the Avoca Mines. For something more civilised, the Kish Walk takes adventurers on a three hour stroll through the town of Arklow which includes the Maritime Museum. Visit The Mill at Avoca Village to learn about how handweaving has taken place there since 1723 making it one of the world's oldest still-producing manufacturers. The original building of the mill now houses a store in which you can buy rugs and throws which have been woven on site. Visit the visitor centre to learn more about handweaving and take the free tour and meet some of the weavers. 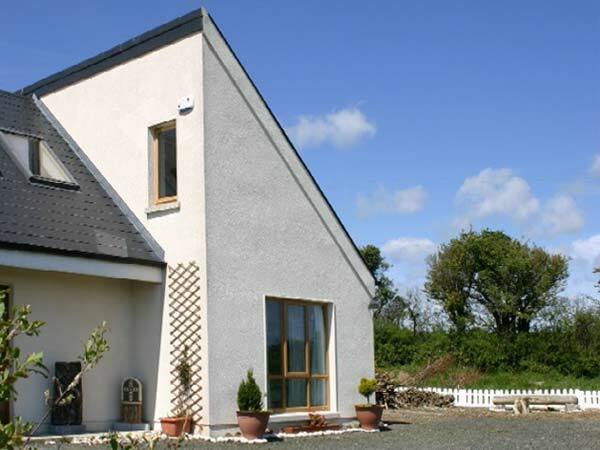 Garden County Trails lets visitors see the beauty of the Vale of Avoca. This walking adventure covers many of the most breathtaking areas in Wicklow. Recognised as Ireland's "garden country," this stretch of greenscape is guaranteed to invigorate and impress. See a natural work of art while exploring a region that is steeped in Irish history. The Chocolate Garden contains no plants, but it does contain a savoury selection of the finest confectionery delights in County Carlow. Visitors can browse an amazing collection of treats, ranging from individually wrapped pieces to gifts and hampers. Discover the perfect party favour or pick out a few tidbits and indulge in after the trip! Group workshops are also available. 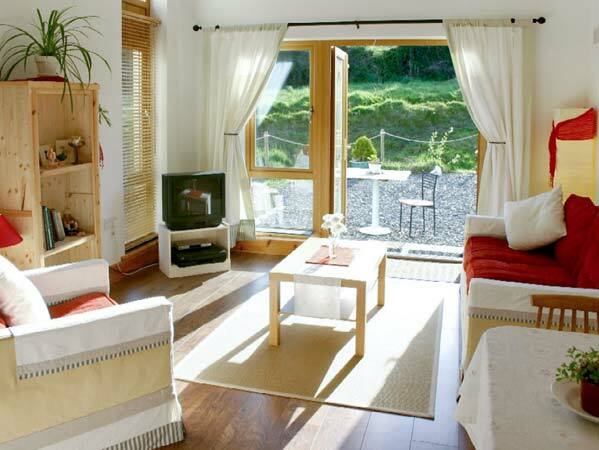 Hidden Valley Holiday Park and Adventure Tours will be the highlight of any Ireland holiday. This exciting attraction has something for everyone. Head outdoors for kayaking, fishing, swimming, rowing, bumper boats or organised football. Combat laser tag is also available. Children will love exploring the elaborate Outdoor Adventure Park with its demon drop slides, enormous space net and much more! Quad Attack and Crazy Corral offers fun for everyone! Schedule a session and ride your own quad around on land or in the mud! Adult, youth and family bookings are available. The Crazy Corral provides even more entertainment with hilarious Sumo Wrestling suits, a rodeo bull ride and Bungee Burst. The Southern County Fishing Resort is more than a luxurious paradise for fishermen. Wildlife thrives on the land as well as in the water, with wild boar, donkeys, heron, Jacobs sheep and many others. Some animals are available for petting. Visitors can also explore the on-site fish hatchery or ride the custom built Old 97 train! 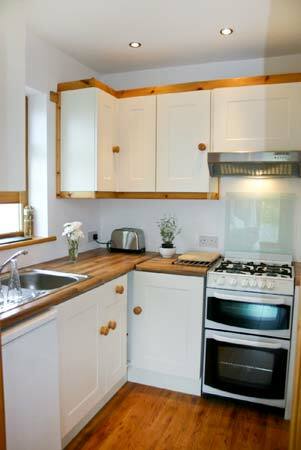 Ballyknocken Cookery School welcomes students interested in expanding their skills in the kitchen. The facility is positioned on a 350 acre farm just outside of the city of Dublin. Discover new ways to fully utilise seasonal and local ingredients to produce some of the most enticing dishes you have ever prepared! Have your own grand adventure at the Wells House and Gardens! Test your skills with archery on the grounds or take the little ones to the playground and picnic area for some fresh air and quality family time. The Victorian gardens are absolutely stunning and are rivalled in beauty and grace by the 350 year old Wells House that still stands on the property. Ferns Castle was constructed during the 13th century. Approximately half of the original structure still stands today. Even in its diminished state, the landmark is well worth seeing. Admire the circular chapel with its lovely carved ornamentation. Guided tours are offered as well as supplemental print materials in English. Photography is permitted. Russborough is one of Ireland's most stunning palladian homes with a long and interesting history. It was originally constructed in 1740 and was bought by Sir Alfred and Lady Beit in 1952 who took the challenge of bringing this great home to its former glory and the result is astounding. The house is home to a fantastic collection of furniture and art, wonderful ornate ceilings, stunning woodork and decorated fireplaces for the public to enjoy. Accessed by an impressive gateway and long drive it captivates you from the outset. Polo Wicklow is Irelands only all year round polo club that assures polo every weekend. It has all amenities and is open to all abilities from novices to seasoned polo players. There is the option of playing on the full size Polo Arena or the their International sized Grass Field. A number of international tournaments take place here attracting teams worldwide. It offers polo lessons and polo courses in addition to horse rental with different membership options.